CHESTER, PA—Community Professional Loudspeakers has announced the winners of its first annual Online Video Contest. The contest offered users the opportunity to create a short video about their favorite Community product or application, or to profile an installation they were particularly proud of. The grand prize was awarded to Joe DiSabatino of JD Sound and Video in Chews Landing, NJ. DiSabatino’s installation profile of the Church of the Incarnation in Mantua, NJ featured four Community SLS920 three-way cabinets, augmented by a single SBS22 subwoofer. DiSabatino was awarded a full Community Professional system that included a pair of S-Series S-3294 12-inch, three-way, full-range systems and two S-Series S-215S dual 15-inch subwoofers. Second prize went to Charles Hatcher of Alpha Music in Louisburg, WV, whose profile of their recent installation project at the Ritz Theater in Penton, WV also featured the SLS920, along with an SBS45 subwoofer and a pair of i2W8 cabinets for front fill. COLORADO SPRINGS, CO—Liberty Wire & Cable has officially changed its name to Liberty AV Solutions. Debuting with its new moniker, a totally revamped booth, and a number of new brands and product lines at this year’s InfoComm, the company changed its name to better reflect its new presence as a comprehensive connectivity infrastructure AV solutions provider. The company’s new web address is libav.com. Effective immediately, all future business activity will be conducted using the new name. There has been no change in the company’s management or ownership. 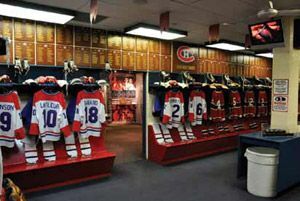 MONTREAL QC, CANADA—Thanks to interactive shows and exhibits, visitors to the new Montreal Canadiens Hall of Fame—a one-of-a-kind shrine celebrating the history of the ice hockey team— can relive Stanley Cup performances, step inside a replica of a 1950s train car, and experience a life-size version of the 1976-77 Canadiens dressing room. One Medialon Manager V5 Lite Show and Media Control software controls the entire lighting and video systems, while a Medialon Audio Server (MAS II) with 24 channels handles multiple audio feeds for playback in sync.